Thu., Nov. 29, 2018, 4 p.m. Cost: Both performances are sold out. If he were back in his native Czech Republic, Coeur d’Alene Symphony conductor Jan Pellant would spend his holidays performing chamber music and folk tunes with his musician friends. He might also spend some time proposing concert projects for the coming season. Although Pellant will spend the holidays here in the U.S., the season still will be filled with music thanks to the symphony’s “Holiday Joy from Scandinavia” concerts, Friday and Saturday at the Salvation Army Kroc Center. Pellant decided to bring a Scandinavian theme to the symphony’s holiday concerts because he sees a lot of similarities between the city and the region. The first half of the program is anchored by Finnish composer Jean Sibelius’s Symphony No. 5, which Pellant said was one of the most challenging pieces written for orchestras. Chorale Coeur d’Alene will join the symphony for a number of pieces, including Joseph M. Martin’s “Dance Into the Light” and a variety of holiday songs including Leroy Anderson’s “Song of the Bells” and “Sleigh Ride,” John Rutter’s “We Wish You A Merry Christmas” and selections from George Frideric Handel’s Messiah, which features soloists Rachel Jordan and Charles Sorensson. 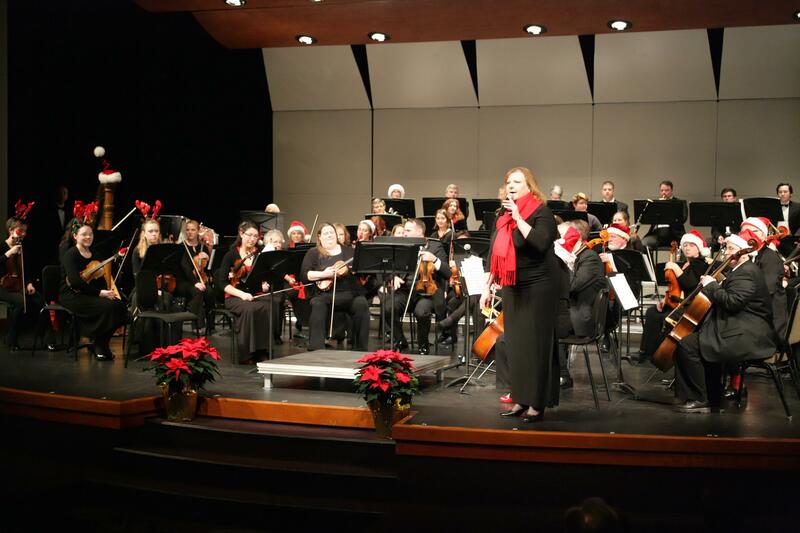 When planning the “Holiday Joy from Scandinavia” concerts, Pellant was looking to create a diverse program, one that included classics to get audiences into the holiday mood and more standard pieces from the symphonic repertoire. “Holiday Joy from Scandinavia” marks the first time Pellant will work with Chorale Coeur d’Alene onstage. He’s excited for the chance to work with the choir, which he said has great enthusiasm, just like the Coeur d’Alene Symphony. With nearly 100 performers onstage between the two groups, Pellant advises audience members that so much enthusiasm could lead to some incredible moments. “Being willing to do great music, great art as if all the concerts are the last one in the life, there’s a big chance that we can experience some, I call, transcendental moments with all these two fantastic groups,” he said. Published: Nov. 29, 2018, 4 p.m.